1984 was a successful year for the duo Blancmange. Their album 'Mange tout' reached the top 10 in the UK albums chart, while the singles 'Waves', 'Blind vision' and 'That's love that it is' all reached the UK top 40. The biggest hit that year, however, was the dynamic 'Don't tell me'. It reached number 8 in the UK singles chart and also reached number 25 in the Dutch Top 40. 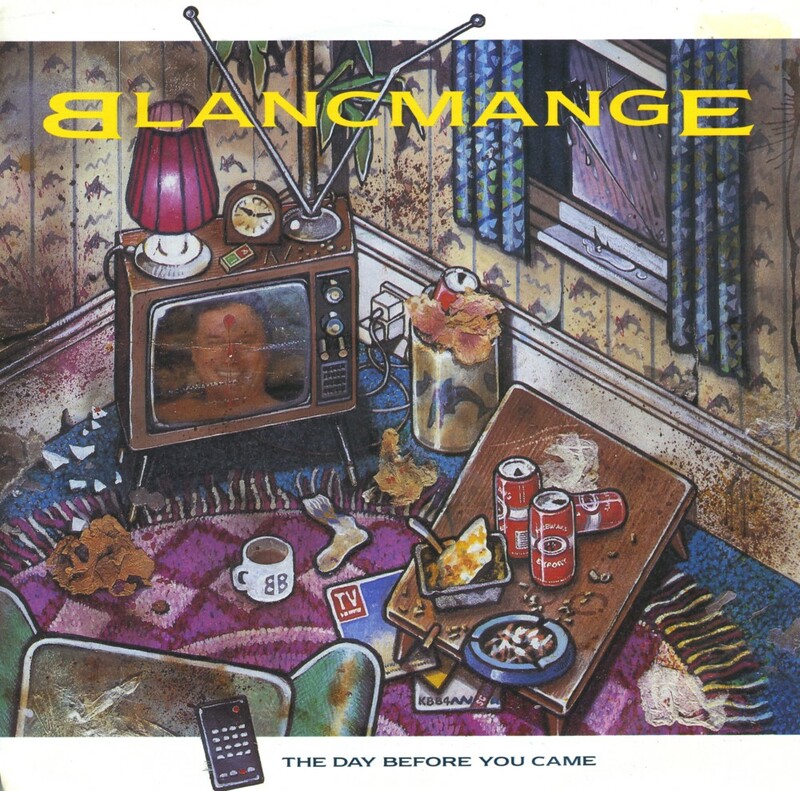 Just two years after the release of 'The day before you came' by Abba, the British duo Blancmange recorded and released a cover version of the song. 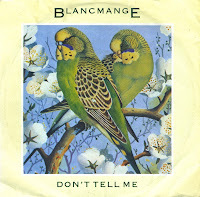 While the original only reached number 32 in the UK singles chart, the Blancmange version managed to reach number 22. However, where the Abba version managed to chart all over Europe, the Blancmange single only charted in the UK. It was their last significant hit, as subsequent Blancmange singles peaked at number 40 or lower in the UK singles chart. I didn't like this cover version in 1984, when it came out, but now I think it's a pretty decent version. 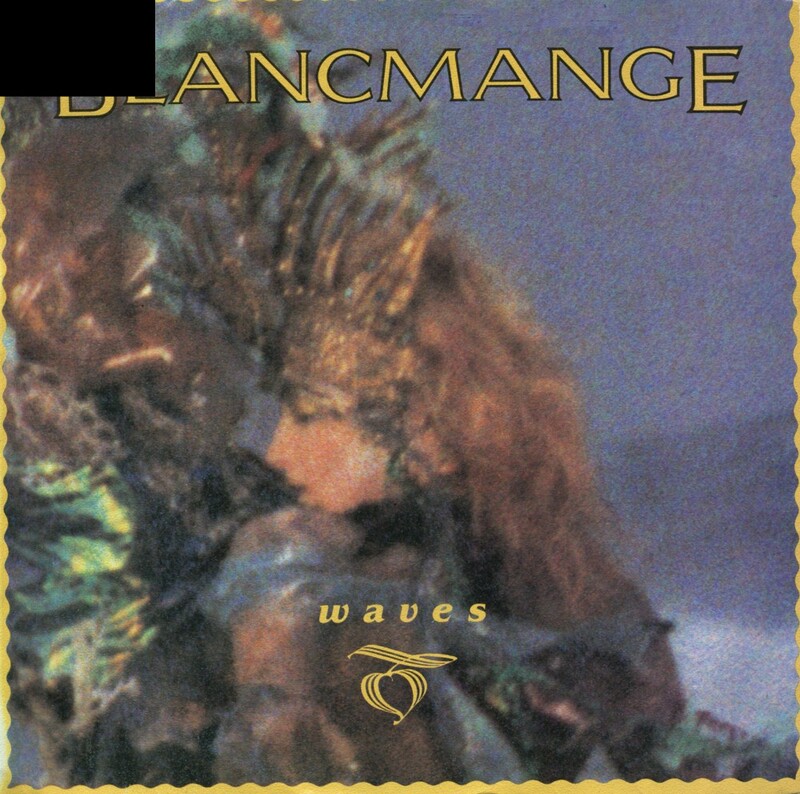 When I heard Blancmange's 'Waves' for the first time, I thought it was a fascinating track. With an intro lasting for 40 seconds and an instrumental backing that was nothing short of overwhelming, it was one of those singles I simply had to own. 'Waves' was released in February 1983 and reached number 19 in the UK singles chart. In the Netherlands, the single failed to chart. 'That's love, that it is' was released in November 1983 and peaked at number 33 in the UK singles chart. 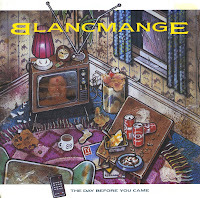 It was the second single taken from Blancmange's second album 'Mange tout (Dancing around our handbags)', which was released in January 1984. The single was released as a limited edition picture disc, and even though it's not very beautiful, I couldn't resist buying this one. 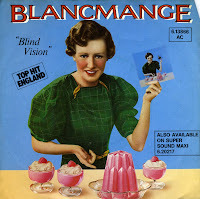 Blancmange released 'Blind vision' in 1983, after their single 'Waves' hit number 19 in the UK and almost made it into the Dutch Top 40. This single did better in the UK, peaking at number 10, but worse in the Netherlands, not charting at all. 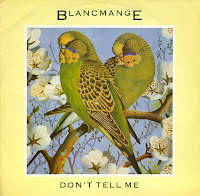 The song is similar to Blancmange's other singles: radiofriendly pop with a good rhythm and a strong melody. Blancmange is a jelly or pudding dessert made of milk, sugar, gelatin and flavouring. 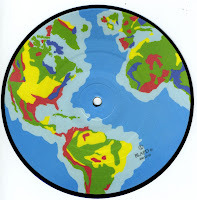 It is also the name of the band formed by Neil Arthur and instrumentalist Stephen Luscombe in Harrow, London in 1979. Their single 'Don't tell me' made it to no. 8 in the UK singles chart in May 1984. It is one of the most energetic pop songs of that era.